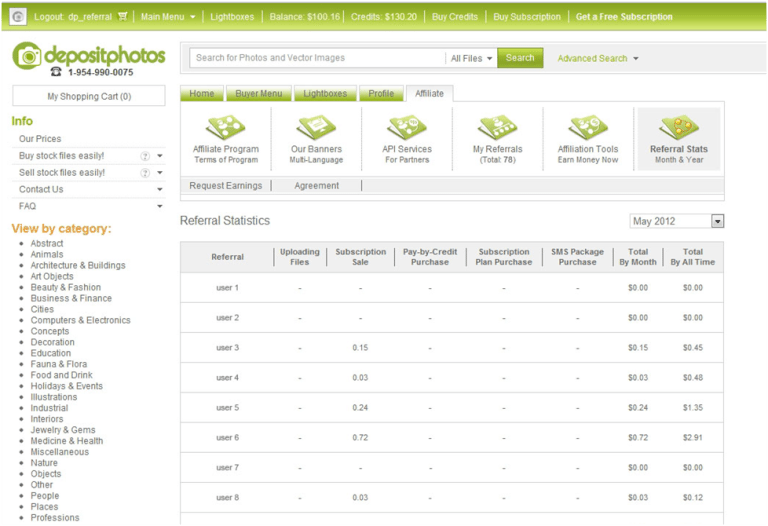 The microstock agency Depositphotos has updated its Affiliate Program. Now, all links from a registered social network user directly to www.depositphotos.com automatically take part in the Affiliate program. The process of sharing has been updated: major social network buttons like Facebook, Twitter, and Google+ appear on the “Bookmarking and Sharing Services” block of every single-image page, and links from these social networks are tracked by Pinterest. Every time a you as a registered user click on one of these social media buttons, and share that Depositphotos image, he can earn money. When you register as a buyer can buy new files with the money earned in the Affiliate Program, or make withdrawals to his PayPal or MoneyBookers account. When you register as a seller will have all of the Affiliate Program money earned deposited into his seller’s account. When you refer a contributor through the Affiliate Program you earn $0.03 every time one of the Referral’s images is sold in a subscription purchase. 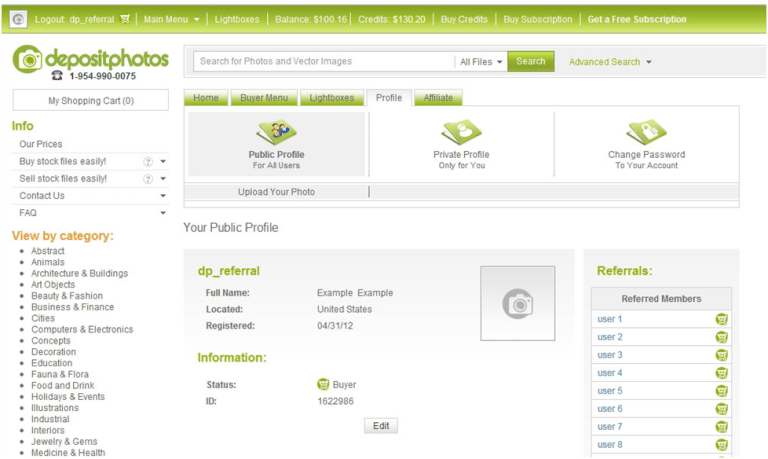 As a Depositphotos user you can watch your income grow on your “Referral Stats” page and keep track of referrals (people who have registered at www.depositphotos.com using your personal referral link) on your “My Referrals” page. Prev PostOlympic-quality images for top-rated projects! Oh, I am so going back and getting my affiliate ID.